As wargamers we talk about progressing the storyline of our game systems pretty frequently. Do Warhammer and Warhammer 40,000 really have core storylines though, or is this something that we are trying to enforce on it. Something akin to a square peg in a round hole? 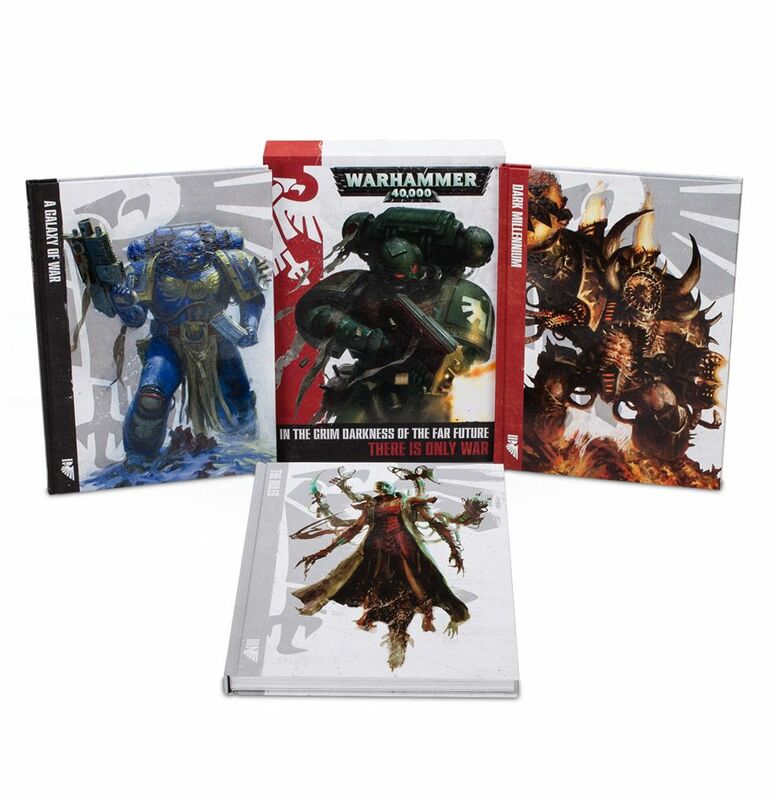 One of the common complaints against 40k is that the storyline never progresses while one of the newer complaints against Fantasy is that they progressed it too far with the End Times and upcoming Age of Sigmar. Are these settings really supposed to have storylines though? 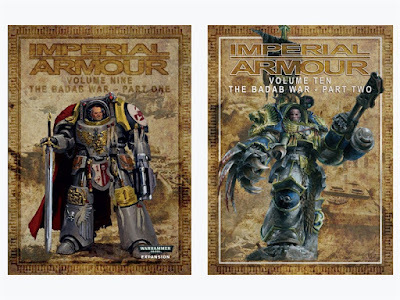 Warhammer 40,000 has 10,000 years of war and history to draw from. You can fight a battle during the Heresy, the Age of Apostasy, the Badab War, or the first, second, or third war for Armageddon. It also happens to be one of the most rich and evocative settings out there. That's part of what makes 40k so great. I can theme my army around pretty much anything and create my own storylines. Why would you want to be stuck to just one. 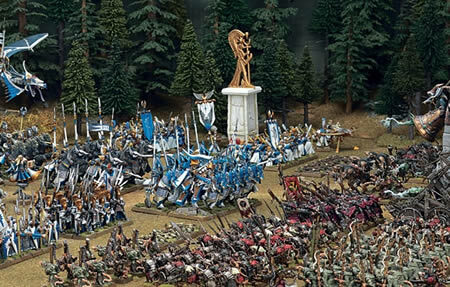 Of course both settings have storylines that help define their histories, armies, and characters, but they are there to contribute to the overall setting, not overshadow it. The Horus Heresy game from Forge World is probably the best example of a storyline driven gaming system. It's a historical event at this point that has a beginning, a middle, and an end. You are essentially just recreating the epic battles of the Heresy. Even Forge World though has left plenty of room to breathe by opening the Heresy up into a full setting. You can fight out the battles of the Great Crusade, or claim your army is fighting off in some small corner of the galaxy. The reason they did this is because a "storyline only" gaming system stifles creativity. It hems people in to much and gives them limited resources to draw upon. Imagine how much more one dimensional the Heresy would be if they had only created resources for the well documented events. It would be fun to play through a few times, but eventually it would lose steam. Warhammer Fantasy is another great example. It had it's own storylines, mostly self contained campaigns, but in general it was left more open. The End Times of course, changed that. At first people were exhilarated that GW was advancing the story, but soon, once people realized what that truly meant, that things were truly changing, everyone went into panic mode. The problem with storylines is that they either progress and change things irrevocably, or they give you the illusion of progression and everything goes back to the status quo. 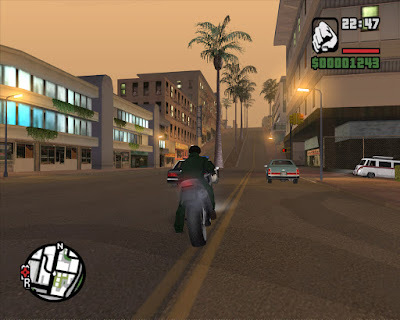 In my opinion the best place for new storylines within our favorite games is in the past. The future events are already set, so it can't really be changed, but you can go into extreme detail about some grand crusade or an epic siege. 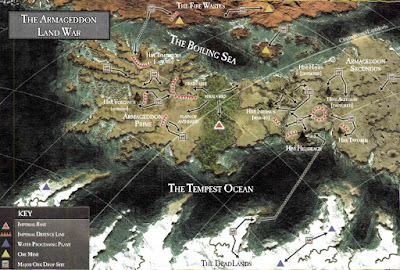 Within Warhammer and Warhammer 40,000 the storyline progressions are generally reserved for special characters or campaign events like Armageddon, Eye of Terror, Storm of Chaos, Lustria, or The End Times. Everything else is just setting, and better for it. It allows you to explore it and create your own heroics, to find the part of it that you like best and expand upon it. Creating your own storyline (campaign, army theme, characters, etc.) will be great for you and your gaming buddies, but it won't affect everyone. This is probably for the best, because not everyone is going to like the choices you made. Maybe they really liked army X and are upset that they were so soundly beaten, or you killed character Y and they really liked them. That is part of the problem when gamers start calling for companies to progress their storylines. If it's a major move forward it will probably divide the community 50/50 with half being upset or half happy. Think of Warhammer and 40k as being more similar to Grand Theft Auto than to Heavy Rain. They're meant to be sand boxes for you to explore, not narratives. I feel like that is part of the problem with why some people are so upset with the two systems. They are approaching it as if it were one thing and then are disappointed it's not living up to their expectations when it was never meant to be narrative driven. Now I admit that I really liked the End Times books, so it's a balancing act. 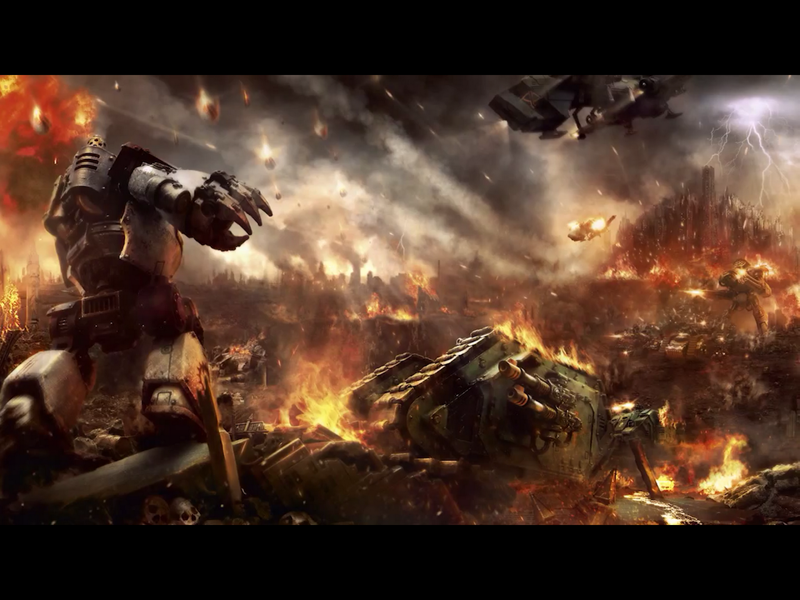 I don't know if I would want to see the same thing done to 40k, it's all up to personal preference. Storyline progression is generally okay in small doses, but can run the risk of going to far when it tries to change too much at once. I guess this is really just my long winded way of saying that you should just play in the sand and enjoy it. 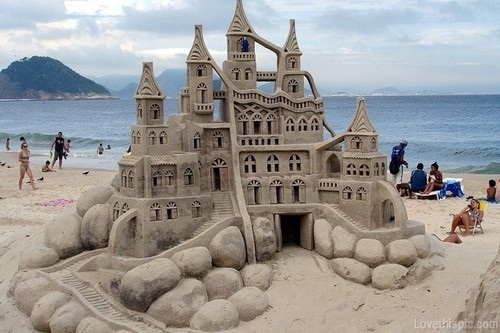 Build a sand castle, dig a moat, you'd probably like it more then what someone else would build for you anyway. What are your thoughts on it, should our gaming systems be narrative driven or merely expansive settings that accommodate smaller narratives to exist within it? Mini of the Week 6-12-15 and a Charity!